Let our professionals focus on issues that are the most important to your family. Such as being reliable and on time, while ensuring that your household goods are tended to properly and professionally. We understand that at times there may be special considerations we must deal with to satisfy our customers. This is where we excel, always with a warm Texas Smile & friendly professionalism every time. Texas Best Movers can handle any type of residential move, whether it is a large home or a small apartment. All of your belongings are provided with care and each one wrapped if needed to protect it from being scratched or dinged up. We make sure your most precious items are packaged and wrapped securely. We provide packing services as well as boxes. Our highly skilled technicians are trained to pack and wrap your items for the ride to your new home. While the average move is usually just for household items, we can even provide for your items to be stored in one of our self-storage centers, provide a POD or warehoused storage according to your needs. We can move cars, motorcycles, boats, patio items, large swing-sets, as well as any kind of large tools or machinery. We can even provide a building moving service if you have a shed or garage that needs to be taken from your old home to your new home. Just tell our staff what your needs are when you call. With a wealth of experience in the San Antonio Metro Area and our dedication to providing top quality customer service, we’re the top destination for all your moving and storage needs. This is why we are one of the most trusted names in Texas. 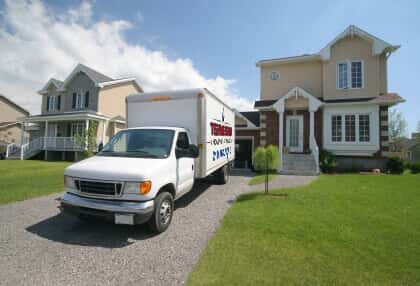 Moving to a new home can be one of the most stressful times in your life, and our relocation consultants work with you to understand and customize your personal needs. From the time you contact us, we will work with you to customize your experience to make the process as smooth and cost effective as possible. We understand the value of your household items. So rest assured that when our team arrives at your home we greet you with a warm TEXAS SIZE smile. It’s a great feeling knowing you will be completely satisfied with our ability to make the whole process stress free! We are dedicated in providing you with the absolute best home and household moving services in Texas. Our movers are trained, courteous, respectful & professional, but most important they will treat your items with the utmost care. This is the commitment to excellence that we bring to every job we do. Call us at 210-764-MOVE today for a free estimate or schedule your move online today.